The man behind the music, Alex Lacamoire is not only the music director/orchestrator of Hamilton, but he is currently the music supervisor of Dear Evan Hansen and *woman in a red dress emoji* music directing/"cubanizing" Carmen Jones. His work can be seen all over Broadway from Wicked, High Fidelity and Annie to In the Heights, Bring it On, and Bat Boy: The Musical(!!!) We can't get you tickets to Hamilton but stay tuned till the end for an exclusive directorial tour of ... See More "the room where it (actually) happened." 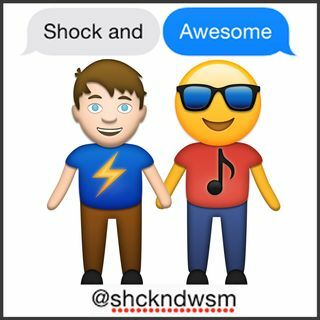 Follow @shckndwsm on all the social medias to keep up with future awesome! This episode is brought to you in part by Squarespace!